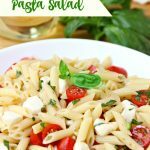 Caprese Pasta Salad – A quick and easy salad with fresh tomatoes, mozzarella and basil tossed in olive oil for a delicious summer side dish! It is HOT and humid here in Wisconsin this week, friends! Let me tell you what. It’s not a week you want to do much cooking at all. 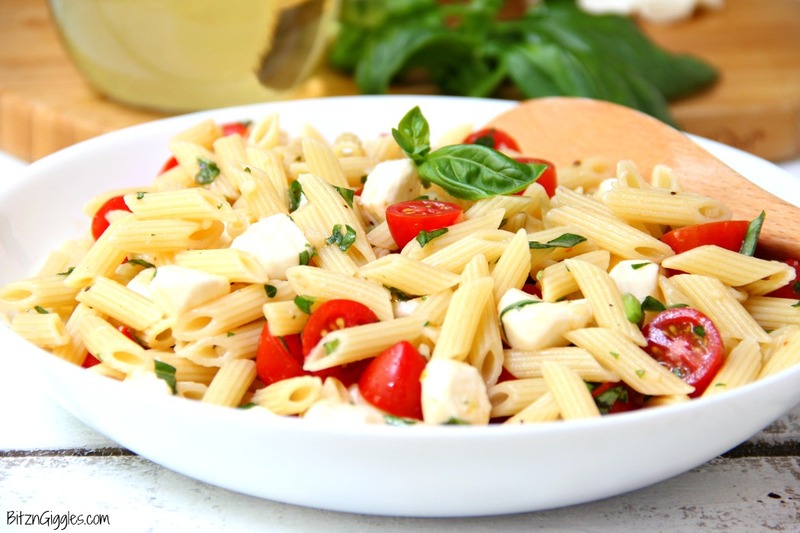 We’re sticking to “cool” and fresh foods like this Caprese Pasta Salad. This is a very mild salad that even picky eaters will enjoy. 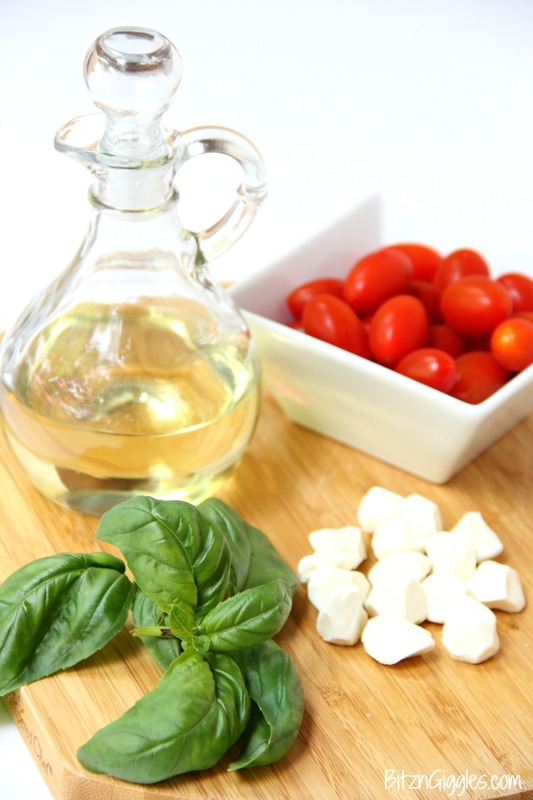 Simple, pure and fresh ingredients. . .you’re going to love it. And whenever I can use the phrase, “chiffonade of basil,” it’s a good day. 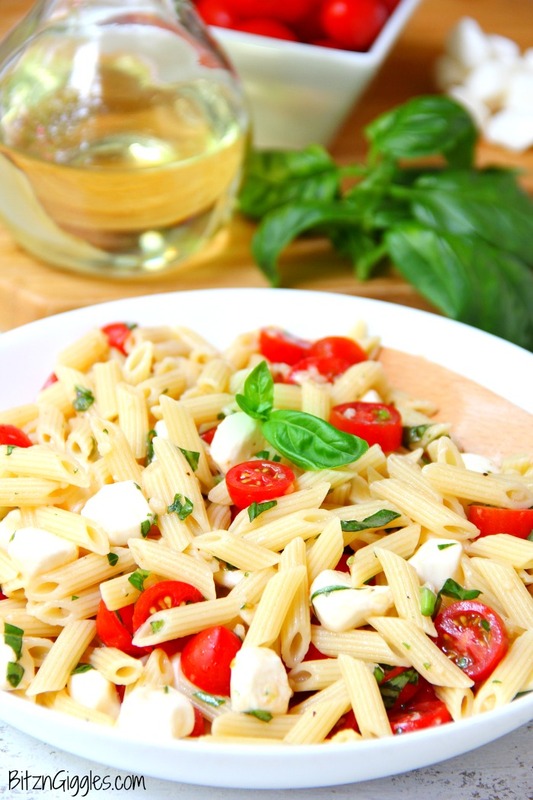 By the way, that’s exactly what you’ll want to do with this basil! That’s it. 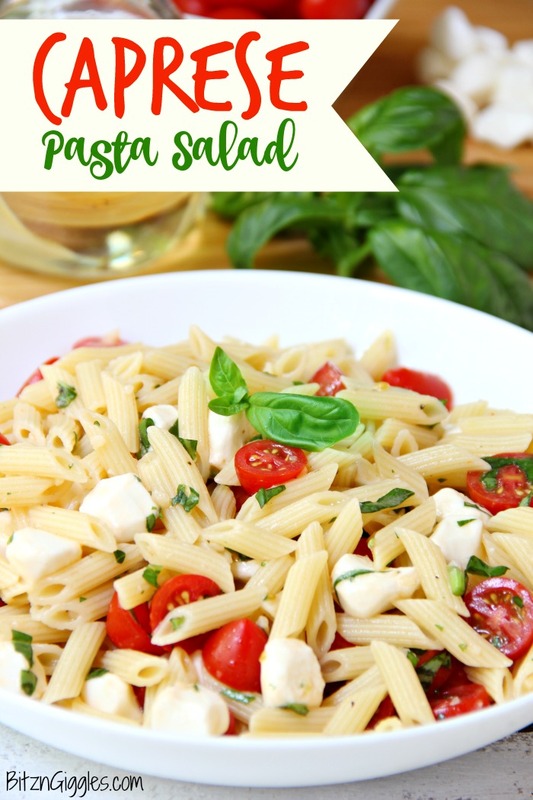 Grab a spoon and a plate and get to eating this wonderful salad. Heck, invite your family and friends over and have them bring something to pass. Potlucks are the best when it’s hot outside and no one wants to cook a full meal alone. I love potlucks and tasting everyones’ dishes is truly the best part! 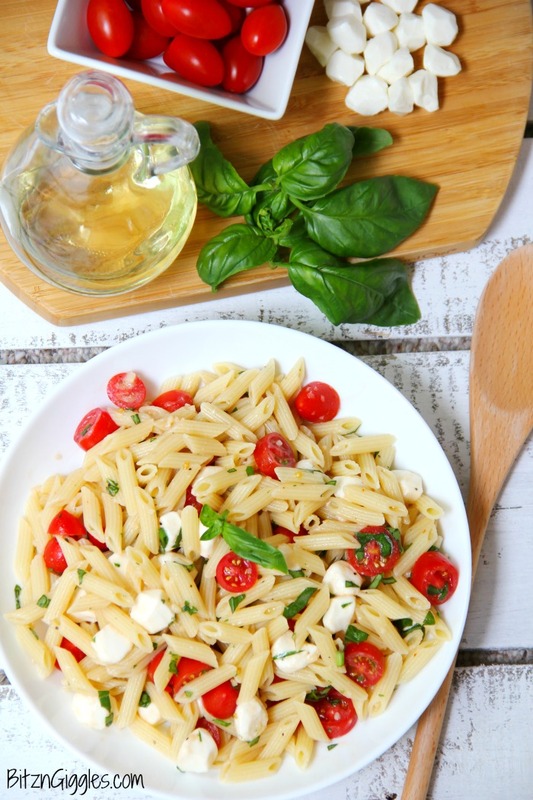 Caprese Pasta Salad – A quick and easy salad with the fresh tomatoes, mozzarella and basil! Yum! Put all ingredients in a large bowl and stir until combined. Refrigerate until ready to serve.